Carpets are a great flooring option for both residential and commercial spaces. 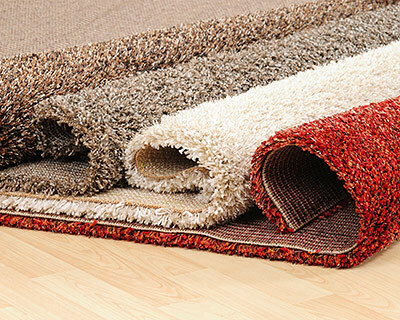 While many people have turned towards newer options, carpet flooring continues to be a very popular choice. In the recent years, we at Moriarty Floor Covering have regularly handled a number of carpet installation projects across Bloomington, Martinsville, Mooresville, Franklin, Greencastle, and Greenwood. We’ve also worked on many carpet installation and replacement projects in Bedford, Columbus, Seymour, Plainfield, and Beech Grove. Regardless of the growing popularity of other types of flooring, many people still opt for conventional carpet floors. Affordability – Carpets are generally more affordable than hardwood and stone floors, which makes them an ideal option for many residential and commercial property owners. The upfront cost of the material and installation is very reasonable, which is one of the reasons why many of our clients choose this flooring option. Versatility – You have very limited options with woods, tiles, stones, etc., but there’s no end to choice when it comes to carpets, as they are available in a variety of colors, textures, and designs... This offers you excellent design flexibility and allows you to add interesting elements to your overall décor. Warmth and Insulation – Carpets are very comfortable because they offer great deal of warmth, especially during the winter season when solid floors can be very chilly. That’s one of the reasons why people still prefer carpet floors over hardwood, tile, concrete, or natural stone. Cushion – This material is also very comfortable to stand on and can cushion impact. A fall on a carpeted floor wouldn’t hurt as much as a fall on a wooden floor. This quality makes carpets an ideal flooring choice in children’s rooms and places where people stand for a long period of time. Noise – Carpet is the quietest of all floors and offers ample sound insulation. It absorbs sounds from the television, music systems, computers, etc., and reduces its intensity. The sound wouldn’t travel between floors as easily either. As a one-stop destination for flooring products and installation, we make it a point to house a large collection of carpets. You have many options to choose from and no shortage of designs and colors. We have brands like Shaw floors, Mohawk Flooring, Dream Weaver, Pure Color, American Carpet, Lexmark Collection, etc. As you can see, there’s no shortage of products available to you. In addition to our massive inventory of products, we also offer excellent installation services. We’ll measure your floor and offer a free quote and provide options that fit into your budget. Once everything is settled, we’ll transport the carpet to your location and install it quickly and efficiently.